Every year I receive numerous unsolicited books for review. Sometimes I read them, oftentimes I don’t. As we move into 2014, I’m setting new goals for all my blogs. The largest change is that I will be participating in fewer virtual book tours next year. I’ve been blogging since 2007; and while I enjoy new reading material, at this point I have more than I could read in five years. I also want the freedom to read for pleasure instead of sticking to a strict blogging schedule. While I will definitely keep blogging–I truly love it–I want to share more posts that interest me (and hopefully you) than promote books being featured on dozens of other blogs at the same time. To get the new year started off right, I am going to make a brief mention of some of the unsolicited books I’ve received lately. You might see reviews of some popping up later in 2014, but for now I simply want to share them and then move forward. Love is everywhere! And it’s not just us humans. 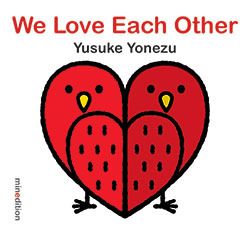 From birds to elephants, rabbits to turtles, there is love and togetherness on every page. 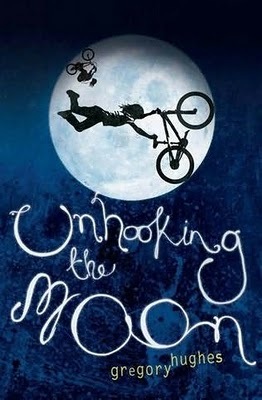 Very young readers will enjoy the surprises in this cheerfully inventive little book. A stunning reworking of the classic tale. And so begins the thrilling story of two children relying on their wits to survive in a hostile world. Sybille Schenker’s evocative and exquisite illustrations bring a unique beauty and graphic excellence to this enduring fairy tale. 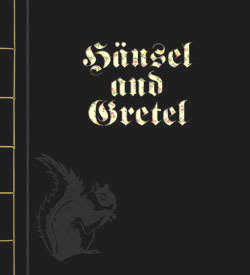 Blogger’s note: I realize the story of Hansel and Gretel is a classic, but it is such a frightening story (made even more so by this black cover). The artwork is beautiful and the book’s design unique, but if I had read this to the girls when they were younger they would have nightmares for days. Fuzzy and Coco are guinea pigs who live with their kindly owners, Ben and Henrietta Bliss. Coco likes to spend her days pampering herself and listening to harp concertos. Fuzzy is much more down to earth – he is a passionate cook who wants nothing more than to learn to make delicious meals for Ben and Henrietta. So when Fuzzy spots an ad run by glamorous local chef Scarlet Cleaver stating ‘Guinea Pigs Wanted’, he is enormously excited – what a chance to learn some cooking skills! Coco warns him that the ad is not what he thinks, but he won’t listen; when she’s not looking, he sneaks off to find the restaurant. And so Coco has to get online to try track Fuzzy down. But when Micespace reveals that guinea pigs from all over town have been taken away in a van by Scarlet Cleaver herself, Coco must set off on a rescue mission to prevent Fuzzy from ending up as main course on The Meat Cleaver’s menu! 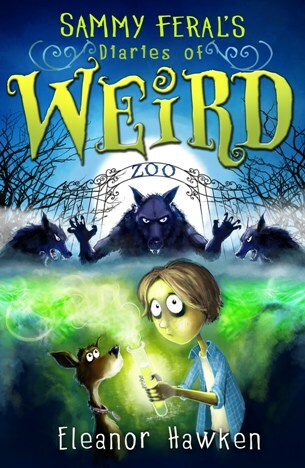 A captivatingly funny story that will delight readers age 5+. 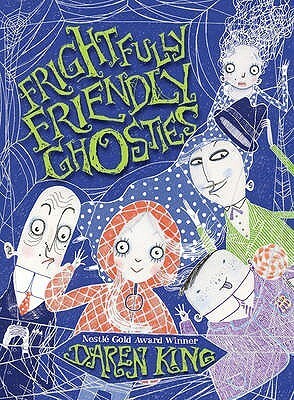 Frightfully Friendly Ghosties, described as “exciting, charming and ridiculous,” by The Guardian, is a hilarious book for young readers about the adventures of a funny, charming, and terribly polite group of ghosts who just want to get along with their housemates. The cast of classic characters, brilliant one-liners, and clever plotting will delight children and parents alike. Tabitha Tumbly, Charlie Vapor, Rusty Chains, and their friends can’t understand why the still-alives in their house are so mean. The friendlier the ghosties are—whether hiding under beds and rushing out to read the still-alives a bedtime story or swooping down the chimney just to say hello—the meaner the still-alives become! When the still-alive family puts garlic around the house and calls in a priest, however, the ghostie gloves come off. Tabitha and Charlie decide to invite The Ghoul to sort out the still-alives once and for all. But could the terrifying Ghoul prove to be more trouble than the ghosties bargained for? Sammy Feral is a lucky boy. His family run a zoo and so he spends his spare time hanging out with orangutans, crocodiles and snakes. But his luck has just run out – his entire family has been infected with a werewolf virus! Now his mum, dad and sisters are howling at the moon, craving raw meat and, worst of all, trying to infect Sammy! Luckily, Donny and Red – a crack team who investigate animals that don’t exist – are on hand to help. But with an evil professor determined to take over Feral Zoo and no known cure for the virus, things aren’t looking good for Sammy! Meet the Rat: A dancing, football-playing gangster-baiting ten-year-old. When she foresaw her father’s death, she picked up her football and decided to head for New York. Meet her older brother Bob: Protector of the Rat, but more often her follower, he is determined to find their uncle in America and discover a new life for them both. On their adventures across the flatlands of Winnipeg and through the exciting streets of New York, Bob and the Rat make friends with a hilarious con man and a famous rap star, and escape numerous dangers. But is their Uncle a rich business man, or is the word on the street, that he something more sinister, true? And will they ever find him? Hughes has created a funny, warm, unique world that lives and breathes. Like I Capture the Castle, Breakfast at Tiffany’s, The Curious Incident, Hughes’ story and characters will resonate for many and for years to come. Kevin’s Big Book of Emotions by another favorite, Liesbet Slegers. 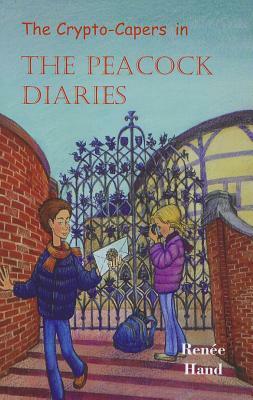 I also purchased a copy of The Crypto-Capers in The Peacock Diaries by Renee Hand. I’ve been following this series since the beginning, so I sure don’t want to miss out on any of them. Overdue is my review of Soccer Dreams by Clare Hodgson Meeker, but it’s coming soon. I promise. 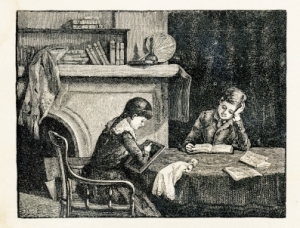 Elizabeth is drawn into a dramatic story from the American Revolution when she discovers a portrait of her ancestor, a girl called Zee, who has a striking resemblance to Elizabeth. The girls’ lives intertwine and Elizabeth’s present-day story alternates with Zee’s. As Elizabeth learns about Zee, and walks where Zee once walked and battles raged, the past becomes as vivid and real as the present. Like me, the ladies enjoy a book that blends past and present. Camp Frontier promises families the “thrill” of living like 1890s pioneers. Gen will be thrilled if she survives the summer stuck in a cabin with her family and no modern amenities. But ever the savvy teen, Gen sneaks in a phone and starts texting about camp life. Turns out, there are some good points-like the cute boy who lives in the next clearing. But when her texts go viral as a blog and a TV crew arrives, Gen realizes she may have just ruined the best vacation she’s ever had. That’s it for this edition of From the Family Bookshelf. See you with another update next month. Two new books come your way from Clavis Books and Guido van Genechten. 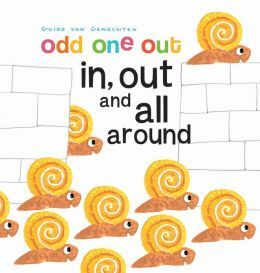 The Odd One Out series is a unique seek-and-find set of books geared toward ages 3 to 5. With van Genechten’s stunning artwork, young readers are asked to find the one that doesn’t belong. I’ve been a fan of van Genechten’s work for some time. This talented author/illustrator gets right to the heart of the matter with children. But in this adorable new series, he’s lighten things up a bit. Kids will learn how to sort and identify differences along with a neat twist at the end. 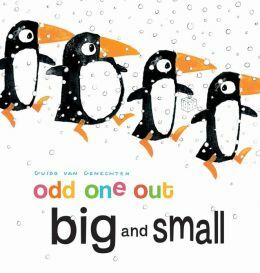 In Big and Small the questions revolve around size, but in the book In, Out, and All Around, children are looking for location and direction. These sturdy board books will hold up to plenty of wear and tear, which is good because your child will be picking them up often. Highly recommended. I received a free copy of each book from the author’s publicist. This review contains my honest opinions, which I have not been compensated for in any way. Both the Lil’ Diva and the Lil’ Princess enrolled in the summer reading program at our local library. They have slowly been plugging away at their books. While we were on vacation, they read a tiny bit, but honestly, by the time the day was done they were too tuckered out to read much. Thankfully, the Outer Banks is filled with history, so the places we visited helped them expand their horizons and kept them learning. Together, the girls and I finished Eight Keys by Suzanne LaFleur and we’re almost done with Scarlet by Marissa Meyer. The Lil’ Princess finished Mallory and Mary Ann Take New York by Laurie B. Friedman for school, then completed Heidi Heckelbeck Gets Glasses by Wanda Coven for her first book of the summer reading program. She’s currently reading Hank Zipzer: Niagra Falls, or Does It? by Henry Winkler and Lin Oliver. We loved the most recent book in this series, so she decided to start from the beginning. She’s also reading MacKenzie Blue: The Secret Crush by Tina Wells and borrowed Mackenzie Blue: Mixed Messages as her next book. The Lil’ Diva read Nobody’s Secret by Michaela MacColl right before school let out for the summer. Now she’s reading Skary Children – And The Carousel of Sorrow by Katy Towell, with Prada & Prejudice by Mandy Hubbard and Messenger by Lois Lowry waiting in the wings. Thanks to vacation, Dad was finally able to polish off A Light in Zion, the fourth book of the Zion Chronicles by Bodie and Brock Thoene. Not sure what he’s reading next, but I’m sure with his work schedule it will take him months to finish another book. I’m reading The Queen’s Vow (historical fiction) by C.W. Gortner right now and am almost done with Strong Rain Falling by Jon Land, which I am scheduled to review next month at The Book Connection. That’s it for this edition of From the Family Bookshelf. Happy reading! 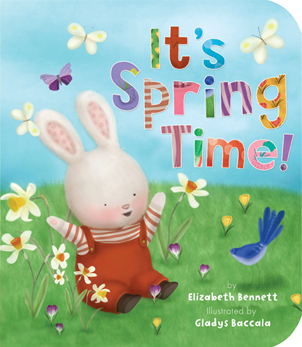 Celebrate Spring all year round with this rhyming padded board book from Elizabeth Bennett. It’s Spring Time, but what does that mean? For this bunny family it means growing from seeds, birds in nests, cleaning up, playing outside, watching rainstorms, and skipping and singing. Bennett and illustrator Gladys Baccala collaborate again to bring us another seasonal tale. They previously worked together on It’s Holiday Time. When you have a good match, it’s great to see what a team can come up with. This is another sweet book with an animal family that has been brought to life by Bennett’s musical words and complemented by Baccala’s soft, warm illustrations. Just as in their holiday book, spritzes of glitter add a special touch to many of the pages. The perfect size for little hands, your preschooler will enjoy this journey through spring. Two adorable rhyming books come to you from author/illustrator Ben Mantle. 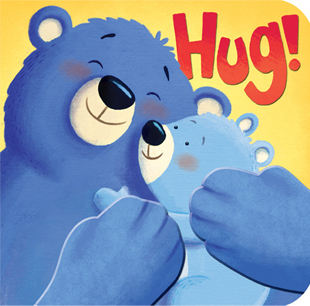 Hug! talks about how fun it is to share all kinds of hugs: squashy, squeezy ones and wriggly, jiggly ones and everything in between. 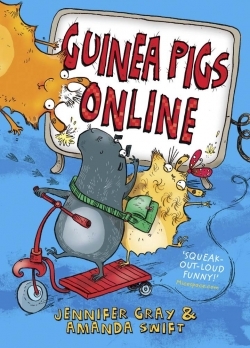 This book is filled with colorful, zany animals that will have your youngsters laughing out loud. In Peek-a-boo! 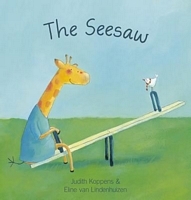 bunny rabbits, penguins, hippos and more play a peek-a-boo game with the reader. These sturdy board books for ages 2 to 5 will stand up to many reads; and with the vibrant colors, lyrical prose, and silly creatures, there will be plenty of reading going on. Both books have magnetic arms that hold the book shut, making them easy to pack in the car or tuck into a bag. Mantle is also the author of Five Little Pumpkins. I absolutely adore his work. He captures the hearts of children with everything he does.